CIB executive chairman Mervyn Assam (right) in discussion with (from left) Dr Waffie Mohammed, chairman, shariah supervisory board, Faheem Mohammed, manager, IBS business strategy and CIB president Richard Trotman at the Islamic banking press conference. Investors who pumped more than $35 million of their hard-earned cash into the Islamic Banking Service (IBS) yesterday expressed worry about if they would get back their investments as promised by the Government and the Central Bank. They have decided to establish a group to represent their interests. In an immediate response yesterday, Dr Waffie Mohammed, an official of the IBS, which was formed in 2001 and had an asset base of $40 million at the end of 2008, assured that all of the IBS investors’ money was stashed safely away in a bank and that the Government and the Central Bank were working on appointing a bank to run the IBS. 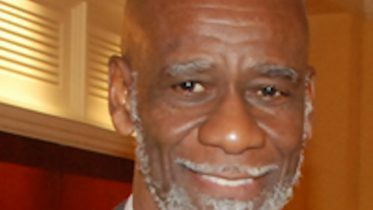 The IBS fell under the purview of Clico Investment Bank (CIB) which was dissolved in early February after it could not repay depositors who were owed millions of dollars. The Central Bank has assumed control of CIB. Mohammed said although the investors’ concerns were valid, since the Central Bank took some time before making a statement on what was taking place with the funds of the IBS, they were close to having a concrete settlement of the issue. Voicing their concerns at the Haji Ralph Khan Islamic Centre at 590 Cipero Road, San Fernando during a mid-morning meeting the investors sought advice from Opposition MP Ramesh Lawrence Maharaj as to what steps they could take to secure their investments. Imam Baksh, an IBS investor and the main facilitator of the investors meeting yesterday, called on the 40-plus investors present at the meeting to form an umbrella body to represent the investors so as to garner strength to move forward in their cause to retrieve their monies from the IBS. Baksh also went on to ask if there was anyone at the meeting in disagreement with having Maharaj represent them as an umbrella body. Another investor, Imtiaz Ali, said he did not fully agree with the action because there were not enough investors present to make such a decision. “I don’t think we have the authority to represent people who are not here,” he said, but later agreed that they should allow Maharaj to draft letters on behalf of individual investors to send to the Central Bank telling them that they were relying on the promise that they would be paid their money. “If there is continuity in the IBS which I don’t necessarily support I think the issue right now is for people to get their funds and not the future of the IBS. That is irrelevant at this point in time,” he added. In response to the concerns Maharaj said he was willing to support the investors by drafting a general letter to be sent out by individuals as well as an official legal letter for those who wanted to go that way but he believed that their actions should take the form of a step by step process. 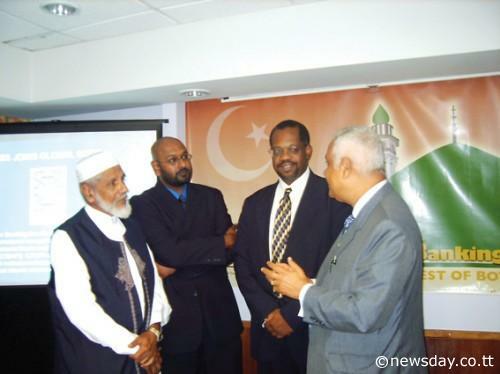 Be the first to comment on "Trinidad Muslims Investors seek Government’s promised bailout"